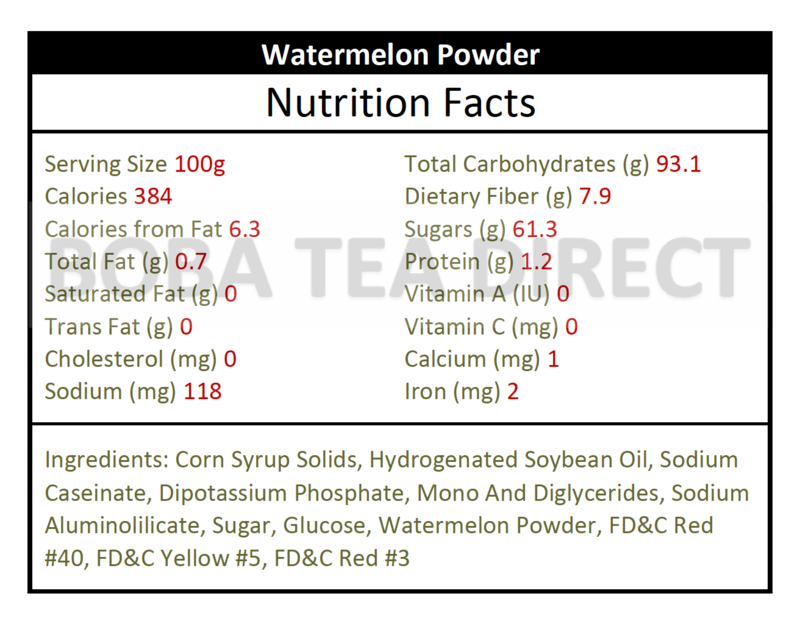 Watermelon boba tea powder used to make Watermelon bubble tea smoothies and Watermelon boba milk teas. Watermelon has such a lovely scent, some perfume makers even use it on their signature scents. This tropical fruit has a summery, sweet and light aroma and flavor. It is reminiscent of sun-bathed dew-drenched watermelon slices fresh from the fridge and let out on the sun. 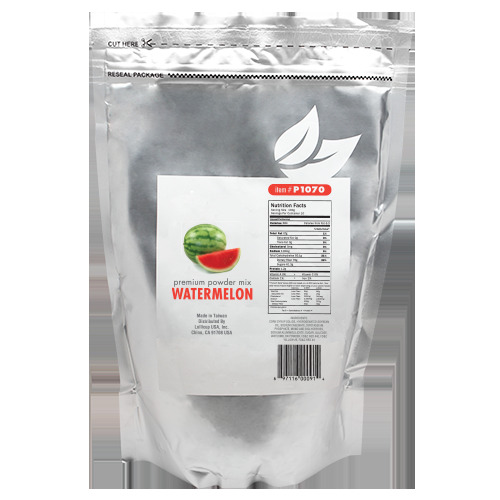 For summer flavored shakes and slushes, with the funky color to boot, use our watermelon powder for a mild sweet, authentic taste of real watermelon. You'll surely taste summer in every glass! Like this item? Try our Avocado Bubble Tea Powder!